The most eastern municipality of Timor-Leste, Lautem includes the sprawling main centre of Lospalos and has a wealth of natural and cultural locations of interest to travellers. Lospalos is home to the Fataluku people and they speak Fataluku (a Papuan language). They also are known for producing high quality tais, wood carvings and woven basket ware. Portuguese architectural influences and remnants of colonial fortifications can be seen. However most notable are the tall elongated traditional Fataluku spirit houses which are constructed with a high tapering thatched roof a top stilts. These traditional spirit houses, like many of the local graves, are often adorned with animist symbols. If you happen upon a festival featuring traditional dance and music while visiting Lautem, as in many other parts of Timor-Leste, you are in for a real treat. Set on an undulated plain surrounded by forested hills the countryside around Lospalos is used for rice cultivation and other crops. Raising livestock, especially extensive herds of cattle and water buffalo is a main activity. Further towards the mountains and the south coast the municipality becomes wilder and more scarcely populated. The 1,230sq/km eastern end of Lautem has been designated as part of the Nino Konis Santana National Park. This includes rugged forested ranges, the large salt water Lake Ira Lalaro, coastal beaches and offshore reefs, plus exquisite Jaco Island. The small fishing village of Com adjoins the park’s western boundary and has beautiful deserted creamy white sand beaches. Com is a great place to go fishing or to relax and watch the sunset from your accommodation. From Tutuala’s high cliff setting, views are mind blowing over the forested ranges, out to the Indonesian island of Kisar, and to the blue sea shimmering far below. From the local pousada’s ramparts, rich birdlife can be observed along with monkeys swinging through the forest. 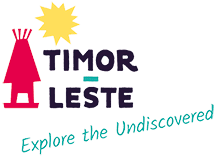 The limestone caves and buttresses within the national park have some of Timor-Leste’s most important archeological treasures – ancient fossils and cave drawings. To access the caves, guides can be arranged. The park’s landscape is wild, unspoilt and rugged offering great terrain for these cave visits and other guided hiking. At the very tip of Lautem lies the small island gem of Jaco across a shallow channel from beautiful Valu beach. It is easy to reach with the local fishermen in their colourful craft. Jaco Island is sacred to the Timorese people and no development or overnight stays are allowed. As a result it is a totally natural setting where the whitest sand is lapped by the clearest and most azure ocean. In addition to sublime swimming, snorkelling and diving, the Jaco experience is also about enjoying the solitude of this special place.